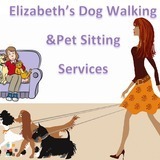 If you are currently seeking a Responsible and Experienced Dog Walker & Pet Sitter you have come to right place. I am an animal lover and have two furry friends of my own. I am very reliable and will treat your pet as if it were my own. I have been walking dogs and looking over pets for over a year. My hours are flexible and rates are reasonable. Call or Email for any questions or to set an appointment.